Frankana Freiko - your partner for leisure on CMT Stuttgart and are available to all campers. • In the philosophy of the company customer satisfaction and quality are paramount. • In the early 1980s, Frankana was founded as a trading company for camping and caravanning in Marktbreit, Lower Franconia. It soon became apparent to retailers that a competent and reliable partner is working here. • This resulted in a steadily growing order volume in the wholesale segment. In 1990 the sister company Freiko was founded. The Frankana Freiko Group is one of the leading wholesalers in the camping and leisure accessories industry. The group now has around 200 employees serving more than 1,400 specialist retail customers worldwide. The headquarters of the two sister companies Frankana and Freiko today is Gollhofen. In recent years, two modern administration buildings and warehouses with a total of 19,800 square meters of storage space have been built here. In order to be able to better serve the growing volume in parcel shipping, Frankana branch was established in 1993 in the green center of Germany in Rudolstadt, Thuringia. In addition to the wholesale business, it continues to serve the end customer locally as well - recreational vehicles and accessories are sold in the old branch in Marktbreit. The strengths of the group today are on the one hand on a robust logistics concept with a storage of more than 13,000 items and its own fleet of trucks. On the other hand, the associated specialist retailers are supported by an intensive training and consulting concept and by the provision of extensive sales materials, the core of which is the annual 800-page main catalog. The future in view is one in the online business also in cooperation with the specialized trade to expand by here appropriate IT sales tools provided in an online shop concept. As a wholesale for camping as well as caravan and motor home accessories we look forward to welcoming you here as well. It is the first one of the year and gathers the entire travel industry for the annual season opener. For nine days everything revolves around the CMT: vacation. Suppliers from all over the world generate their first and often most important sales of the year at CMT. 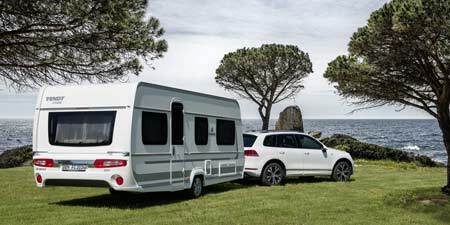 The travel-loving audience from all over Germany and neighboring countries is looking forward to new destinations, caravans, accessories and enjoys the daily changing supporting program.